The Workers Compensation Research Institute (WCRI) released eight separate studies today that examine the impact of state reforms to the rules for drugs dispensed by doctors from their offices to injured workers. The eight states studied are Connecticut, Florida, Georgia, Illinois, Indiana, Michigan, South Carolina, and Tennessee. As of June 2016, 20 states have made changes to rules governing the reimbursement for physician-dispensed drugs. Below are major findings for each of the eight states studied. A more detailed analysis can be found in each state report. Connecticut: Twenty months after the reform, physician dispensing was still common. The average price paid per pill to physicians for 6 of the 10 drugs most commonly dispensed by Connecticut physicians decreased 18–48 percent. However, increased physician dispensing of higher-priced new strengths for cyclobenzaprine and tramadol raised the cost of physician dispensing of these two drugs in the latest study quarter. Florida: Nine months after the reform, mixed results were seen in prices paid to physicians for the 10 drugs most commonly dispensed by Florida physicians—the prices decreased for some but increased or changed little for others. Most striking was the substantial increase in physician prices for cyclobenzaprine and tramadol, due to some physicians dispensing higher-priced new strengths. Physician dispensing was common after Florida’s reform, although physicians in the state dispensed fewer prescriptions. Georgia: Thirty-six months after the reform, physician dispensing was still frequent. In the initial months after the reform, a sizeable price reduction was seen, consistent with the goal of the reform. However, some physicians dispensed higher-priced new strengths of cyclobenzaprine and tramadol in the latest study quarters, which raised the average price paid per pill for these two drugs. Illinois: Over a year and a quarter after Illinois’ reform, the average price per pill paid for 7 of the top 11 drugs commonly dispensed by Illinois physicians decreased 22–55 percent. 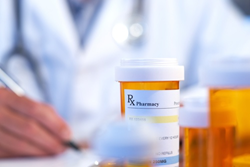 However, physician prices for hydrocodone-acetaminophen, cyclobenzaprine, and tramadol increased substantially as a result of some physicians dispensing higher-priced new drug strengths. Physician dispensing was still common after the 2012 reform in Illinois. Indiana: Nine months after the reform, the average price paid per pill to physicians for 9 of the 10 drugs most commonly dispensed by Indiana physicians decreased 14–44 percent. While physician dispensing was still fairly common after the 2013 reform, physician dispensing of higher-priced new drug strengths was infrequent in Indiana over the study period. Michigan: Fifteen months after Michigan’s reform, physician dispensing was still common in the state. Substantial price reductions were seen for most drugs commonly dispensed by Michigan physicians, which was consistent with the goal of the price-focused reform. Physician dispensing of higher-priced new strengths was infrequent in Michigan over the study period. South Carolina: Sizable price reductions were seen for the drugs most commonly dispensed by physicians after South Carolina’s reform. At the same time, frequency of physician dispensing decreased steadily over the post-reform quarters. Tennessee: Twenty months after the reform, physician dispensing was still frequent. The average price paid per pill to physicians for 7 of the 10 drugs most commonly dispensed by Tennessee physicians decreased 21–56 percent. However, an increase in physician dispensing of higher-priced new strengths was observed for cyclobenzaprine and tramadol in the latest quarters of the study period, which raised the average price paid per pill for these two drugs. The studies evaluate the impact of the price-focused reforms on the frequency and costs of physician dispensing in these eight states using detailed transaction data for physician- and pharmacy-dispensed prescriptions filled by injured workers up through the first quarter of 2014. With future data over a longer time period, we will examine the subsequent effects of the reforms. To purchase these studies, visit WCRI’s website at http://www.wcrinet.org/result/phys_disp_8_rpts_2016_result.html.